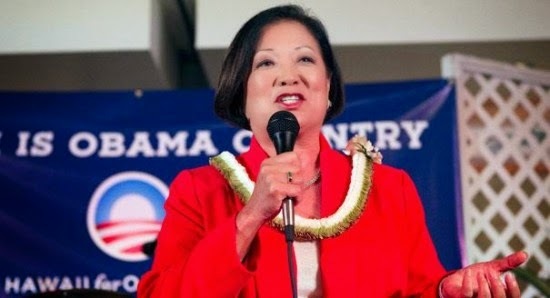 If one of these animals kills an American after returning home, the blood is on Democrat freshman Hawaii senator Mazie Hirono's hands. A showdown over the passports of so called ‘foreign fighters’ – Americans and other westerners who have joined the ISIS terror army in Iraq and Syria – came to a head on Thursday when a U.S. senator killed legislation aiming to strip them of their citizenship. Cruz bypassed the Senate’s committee process in order to rush the legislation to a vote, meaning that any single senator could block it. ‘There is an urgency and an exigency to this situation,’ Cruz said on the Senate floor. She also cited letters of objection from the Constitution Project and the American Civil Liberties Union.